With almost 400 monstrous entries to review, we were overwhelmed by the range of frightening creatures that you've all conjured up, and just as impressed with the huge variety of techniques you used to bring them to life! However, like all good Monster vs. Monster battles, this one is to the death, and there can only be one winner. Therefore, it is with a mix of horror and pleasure that we award the Monster Art Contest Grand Prize to Dan Chudzinski for his stunning mixed media creation "The Ripper!" Dan explains that "The Ripper" was created by a team of biologists and engineers to deter poachers from hunting nature's most majestic animals, and combines "the hunting prowess of nature's most efficient predators." Whatever it is, Dan, it's scary (and incredibly artful at the same time). We pity the poachers who run into "The Ripper." Congratulations on winning the Grand Prize! Congrats to The Ripper and thanks to SWSCA for a great competition and community! from the momment I saw the reaper I knew it was gonna win. Congratulations!!! yup, I completely agree. The ripper is one of the most interesting and scary things I've seen in a long while. Well done dan! Very well deserved! Congrats [= Very well deserved! i like the details you gave to your monster. Congratulations!! Looks very cool and the win is well deserved!! THANK YOU to Stan Winston School for this tremendous honor! I appreciate everyone's kind words and support. It was always a dream of mine to one day meet/work with Stan. Although I never got to meet him in person, his influence is evident in my work, for which I am extremely grateful. Fans of his will notice subtle nods to some of my favorite Stan Winston Studio creations within the Ripper. 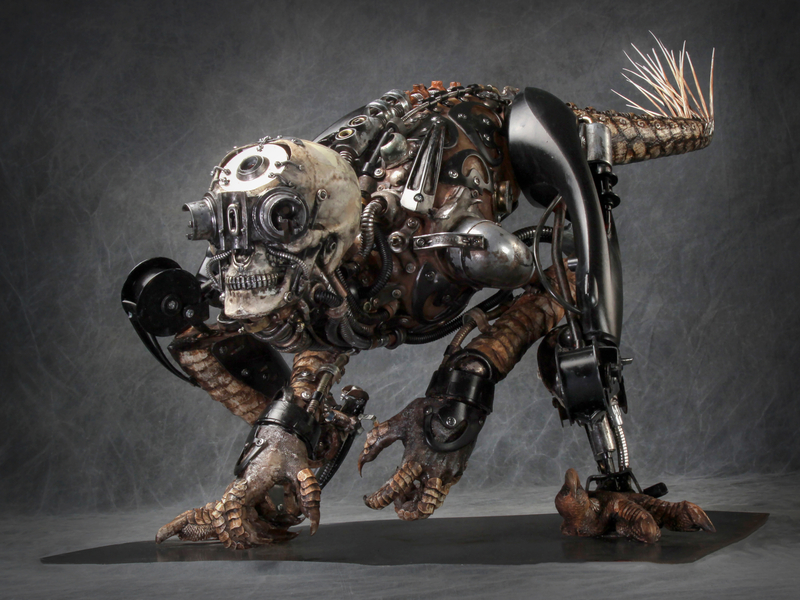 There is a bit of Terminator, some Predator, a nod to the Xenomorphs, and a healthy does of Velociraptor. I am truly honored to be able to share this piece with so many wonderful artists that I continue to hold in such high esteem! Great job Dan!! Congratulations!! Your Ripper is amazing! Congratulations, lovely to see such a fine sculpture winning the prize. I ain't even mad I didn't win. That thing is incredible. Well deserved congratulations! !